‘Flower Power’ is oil on canvas using the impasto technique and has a very 1960’s feel with the big hair and type of clothing. A more subtle pallet has been used with delicate colour contrasting to darker and richer towards the bottom. 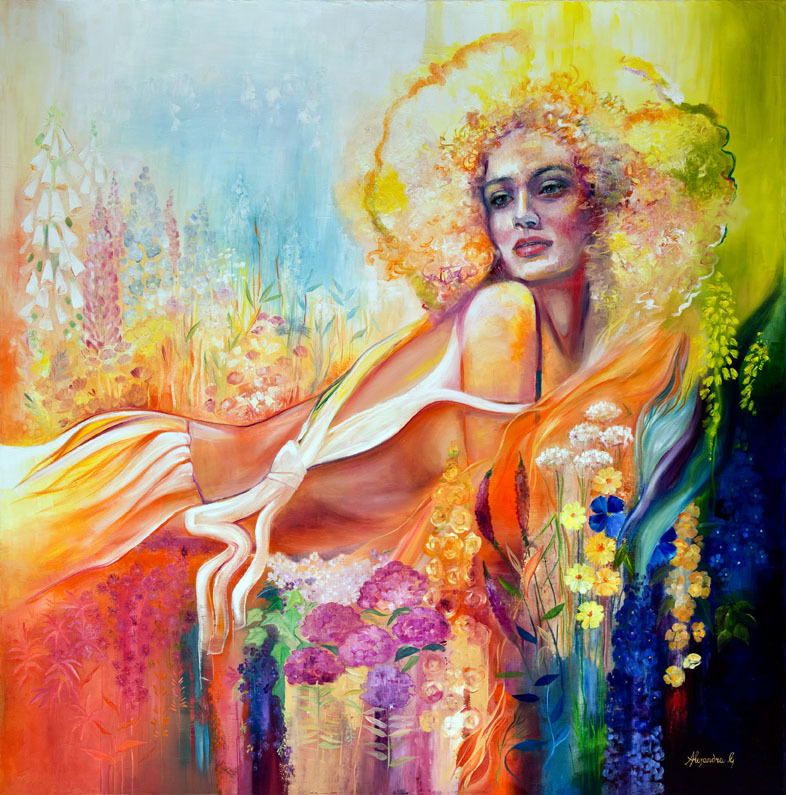 An interesting, semi abstract composition of a young woman lying amidst flowers.